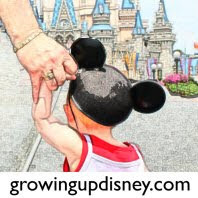 Growing Up Disney: Where the heck are my Mickey waffles? We are back home today. Tink was spoiled last week with lots of extra attention from her grandparents and uncle. She's been asking for them today. I'm glad she loves Cheerios because Granddaddy got her Mickey waffles each morning during the All Star portion of our adventure. I'm feeling pretty worthless, and while we have a mini Mickey waffle iron, that just wasn't happening first thing this morning. Yesterday's flight with Tink was out worst airplane experience. I'll tell that whole story on a future Mommy Monday post. Thanks to everyone for sharing our vacation experience. We had a blast taking lots of friends along with us.